the cultural analysis of education. 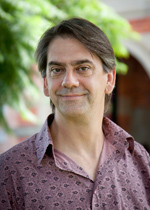 His current research includes the ARC Discovery project 'Australian Cultural Fields: National and Transnational Dynamics' (led by Professor Tony Bennett), which examines the transformations in cultural participation and production in Australia in the last twenty years, and the ARC Discovery Project 'Assembling and Governing Habits' (with Tony Bennett, Gay Hawkins and Nik Rose), which explores the ways conceptions of habit inform the techniques of mundane urban governance. He also has an ongoing interest in the Lebanese diaspora – currently researching migration and the 'ethnic habitus' with Paul Tabar – and in multicultural education (with Megan Watkins). Wise, A & Noble, G (eds) 2018, Convivialities: possibility and ambivalence in urban multicultures (opens in a new window), Routledge, London. Noble, G & Watkins, M 2013, Disposed to learn: schooling, ethnicity and the scholarly habitus (opens in a new window), Bloomsbury Academic, London & New York. Tabar, P, Noble, G & Poynting, S 2010, On being Lebanese in Australia: identity, racism and the ethnic field, Institute for Migration Studies, Lebanese American University Press, Beirut. Noble, G (ed.) 2009, Lines in the sand: the Cronulla riots, multiculturalism and national belonging (opens in a new window), Institute of Criminology Press, Sydney. Tabar, P, Poynting, S, Noble, G and Collins, J 2005, Al-Lubnaniyoun fi 'Australia: qira`a fi al-hawiyya wa al- 'ounsouriyya fi zaman al-`aoulama (The Lebanese in Australia: a reading of identity and racism in the age of globalisation), Mokhtarat, Beirut. Poynting, S, Noble, G, Tabar, P & Collins, J 2004, Bin Laden in the suburbs: criminalising the Arab other, Federation Press/Institute of Criminology, Sydney. Collins, J, Noble, G, Poynting, S & Tabar, P 2000, Kebabs, kids, cops and crime: ethnicity, youth and crime, Pluto Press, Sydney. Noble, G 2019, '"Asian fails" and the problem of bad Korean boys: multiculturalism and the construction of an educational "problem"', in M Watkins, C Ho & R Butler (eds), Asian migration and education cultures in the Anglosphere (opens in a new window), London, Routledge. Ang, I & Noble, G 2018, ‘Making multiculture: Australia and the ambivalent politics of diversity’, in D Rowe, G Turner & E Waterton (eds), Making culture: commercialisation, transnationalism, and the state of ‘nationing’ in contemporary Australia (opens in a new window), Routledge, London, pp. 140-153. Wise, A & Noble, G 2018, 'Introduction: convivialities: an orientation' in A Wise & G Noble (eds), Convivialities: possibility and ambivalence in urban multicultures, Routledge, London. Noble, G & Tabar, P 2017, 'The "career" of the migrant: time, space and the settling process', in M Boese & V Marotta (eds), Critical reflections on migration, 'race', and multiculturalism: Australia in a global context, Routledge, UK, pp. 255-270. Noble, G 2017, 'Learning with Bourdieu: pedagogy, cosmology and potty-training', in L Adkins, C Brosnan and S Threadgold (eds), Bourdieusian prospects (opens in a new window), Routledge, Oxford, pp. 13-30. Noble, G 2015, 'Learning to be otherwise: ethnicity and the pedagogic space of youthful subjectivities', in S Baker, B Robards & B Buttigieg (eds. ), Youth cultures and subcultures: Australian perspectives, Ashgate, UK, pp. 65-74. Noble, G 2015, 'Pedagogies of civic belonging: finding one's way through social space', in M Watkins, G Noble & C Driscoll (eds), Cultural pedagogies and human conduct (opens in a new window), Routledge, London, pp. 32-44. Noble, G & Watkins, M 2014, 'The "schooled identities" of Australian multiculturalism: professional vision, reflexive civility and education for a culturally complex world', in R Race & V Lander (eds), Advancing race and ethnicity in education , Palgrave Macmillan, UK, pp. 162-177. Noble, G & Tabar, P 2014, 'I am lord, I am local': migration, masculinity and making yourself at home', in P Hopkins & A Gorman-Murray (eds), Masculinities and place, Ashgate, Aldershot, pp. 77-92. Noble, G & Tabar, P 2014, 'Learning to be Lebanese', in T Batrouney, T Boos, A Escher & P Tabar (eds), Palestinian, Lebanese and Syrian communities in the world, Universitätsverlag Winter, Heidelberg, pp. 15-26. Noble, G 2012, 'Where's the moral in moral panic? Islam, evil and moral turbulence', in G Morgan & S Poynting (eds), 'Global Islamophobia: Muslims and moral panic in the West' (opens in a new window), Ashgate, Aldershot, pp. 215-31. Noble, G 2012, 'Home objects', in SJ Smith (ed. ), International encyclopedia of housing and home , Elsevier, Amsterdam, pp. 434-43. Noble, G 2011, 'Belonging in Bennelong: ironic inclusion and cosmopolitan joy in John Howard's (former) electorate', in K Jacobs & J Malpas (eds), Ocean to Outback: Cosmopolitanism in contemporary Australia (opens in a new window), University of Western Australia Press, Crawley, pp. 150-74. Noble, G & Watkins, M 2010, 'The productivity of stillness: composure and the scholarly habitus', in D Bissell & G Fuller (eds), Stillness in a mobile world (opens in a new window), Routledge, London & New York, pp. 107-24. Noble, G & Seidler, K 2010, '"I just lost it": offenders' rationalisations for criminal violence', in K Seidler (ed. ), Crime, culture and violence: understanding how masculinity and identity shapes offending (opens in a new window), Australian Academic Press, Bowen Hills, pp. 148-74. Noble, G 2009, 'Where the bloody hell are we? Multicultural manners in a world of hyperdiversity', in G Noble (ed. ), Lines in the sand: the Cronulla riots and the limits of Australian multiculturalism (opens in a new window), Institute of Criminology Press, Sydney, pp. 1-22. Noble, G 2009, 'Everyday cosmopolitanism and the labour of intercultural community', in A Wise & S Velayutham (eds), Everyday multiculturalism, Palgrave Macmillan, Houndmills, pp. 46-65. Poynting, S, Tabar, P & Noble, G 2009. 'Looking for respect', in M Donaldson, R Hibbins, R Howson & B Pease (eds), Migrant men: critical studies of masculinities and the migration experience (opens in a new window), Routledge, New York & Abingdon, pp. 135-53. Noble, G & Poynting, S 2008, 'Neither relaxed nor comfortable: the uncivil regulation of the Muslim other', in R Pain & S Smith (eds), Fear: critical geopolitics and everyday life (opens in a new window), Ashgate, Aldershot, pp. 129-38. Noble, G 2008, 'Living with things: consumption, material culture and everyday life', in N Anderson & K Schlunke (eds), Cultural theory in everyday practice (opens in a new window), Oxford University Press, Melbourne, pp. 98-113. Noble, G & Poynting, S 2007, '"The daily frustrations you have to live with": everyday racism and the social exclusion of Arab and Muslim Australians since September 11', in T Pludowski (ed. ), Terrorism, media, society, Collegium Civitas Press and Wydawnictwo Adam Marszalek, Warsaw & Toruñ, pp. 253-64. Poynting, S & Noble, G 2006, 'Muslims and Arabs in Australian media since 9/11', in T Pludowski (ed. ), How the world's news media reacted to 9/11: essays from around the globe (opens in a new window), Marquette Books, Spokane, pp. 261-76. Cahir, J & Noble, G 2007, '"It's a security thing": mobile phones and moral regulation', in S Poynting & G Morgan (eds), Outrageous: moral panics in Australia, ACYS, Hobart, pp. 137-47. Poynting, S, Noble, G & Tabar, P 2004, 'Middle Eastern appearances: "ethnic gangs" and media panic', in J Schneider & N Tilley (eds), Gangs, Ashgate, Aldershot, pp. 171-96. Noble, G 2003, 'Everyday work', in F Martin (ed. ), Interpreting everyday culture, Hodder Arnold, New York, pp. 87-102. Poynting, S, Noble, G & Tabar, P 2003, 'Protest masculinity and Lebanese youth in Western Sydney: an ethnographic study', in S Tomsen & M Donaldson (eds), Male trouble: looking at Australian masculinities, Pluto, Melbourne, pp. 132-55. Noble, G & Tabar, P 2002, 'On being Lebanese-Australian: hybridity, essentialism, strategy', in G Hage (ed. ), Arab Australians today, Melbourne University Press, Melbourne, pp. 128-44. Noble, G & Poynting, S 2000, 'Multicultural education and intercultural understanding: ethnicity, culture and schooling', in S Dinham & C Scott (eds), Teaching in context, Australian Council for Educational Research, Camberwell, pp. 56-81. Noble, G & Ang, I 2018, ‘Ethnicity and cultural consumption in Australia’ (opens in a new window), Continuum, vol. 32, no. 3, pp. 296-307. Noble, G 2017, '"Asian fails" and the problem of bad Korean boys: multiculturalism and the construction of an educational "problem", Journal of Ethnic and Migration Studies, vol. 43, no. 14, pp. 2456-2471. Johns, A, Noble, G & Harris, A 2017, 'After Cronulla: 'Where the bloody hell are we now? ', Journal of Intercultural Studies, vol. 38, no. 3, pp. 249-254, DOI: 10.1080/07256868.2017.1314243. Noble, G & Tabar, P 2017, 'Wounded detachments: Cronulla, social memory and the injuries of racism', Journal of Intercultural Studies, vol. 38, no. 3, pp. 271-283, DOI: 10.1080/07256868.2017.1314260. Wise, A & Noble, G 2016, 'Convivialities: an orientation', Journal of Intercultural Studies, vol. 37, no. 5, pp. 423-431. Rowe, D, Noble, G, Bennett, T & Kelly, M 2016, 'Transforming cultures? From Creative Nation to Creative Australia', Media International Australia, vol. 158, no. 1, pp. 6-16. Noble, G 2016, 'Afterword: from anxiety to hope', Patterns of Prejudice, vol. 50, no. 2, pp. 207-211. Noble, G 2013, 'Cosmopolitan habits: the capacities and habitats of intercultural conviviality', Body and Society, vol. 19, no. 2&3, pp. 162-85. Noble, G 2013, 'It is home but it is not home: habitus, field and the migrant', Journal of Sociology, vol. 49, no. 2&3, pp. 341-56. Bennett, T, Frow, J, Hage, G & Noble, G 2013, 'Antipodean fields: working with Bourdieu', Journal of Sociology, vol. 49, no. 2&3, pp. 129-50. Noble, G 2013, 'Strange familiarities: a response to Ash Amin's Land of Strangers', Identities: Global Studies in Culture and Power , vol. 20, no. 1, pp. 31-36. Noble, G 2011, '"Bumping into alterity": transacting cultural complexities', Continuum, vol. 25, no. 6, pp 827-40. Watkins, M & Noble, G 2011, 'Losing touch: pedagogies of incorporation and the ability to write', Social Semiotics , vol. 21, no. 4, pp. 503-16. Noble, G & Poynting, S 2010, 'White lines: the intercultural politics of everyday movement in social spaces', Journal of Intercultural Studies, vol. 31, no. 5, pp. 489-505. Noble, G 2010, 'Shifty insecurities' (opens in a new window), Ethnopolitics, vol. 9, no. 2, pp. 263-67. Noble, G 2009, '"Countless acts of recognition": young men, ethnicity and the messiness of identities in everyday life', Social and Cultural Geography, vol. 10, no. 8, pp. 875-91. Hopkins, P & Noble, G 2009, 'Masculinities in place: situated identities, relations and intersectionality', Social and Cultural Geography, vol. 10, no. 8, pp. 811-19. Noble, G 2009, 'How do you teach cultural studies? Or, the uses of textbooks', Continuum: Journal of Media and Cultural Studies , vol. 23, no. 3, pp. 401-08. Noble, G & Watkins, M 2009, 'On the arts of stillness: for a pedagogy of composure' (opens in a new window), M/C Journal , vol. 12, no. 1. Noble, G 2008, 'The face of evil: demonising the Arab other in contemporary Australia', Cultural Studies Review, vol. 14, no. 2, pp. 14-33. Tabar, P, Poynting, S, Noble, G & Collins, J 2008, 'The Lebanese community in Sydney: a socioeconomic and cultural reading' [in Arabic], Idafat, The Arab Journal of Sociology, vol. 2, pp. 24-58. Noble, G 2007, 'Respect and respectability amongst second generation Arab and Muslim Australian men', Journal of Intercultural Studies, vol. 28, no. 3, pp. 331-44. Poynting, S & Noble, G 2006, 'Muslims and Arabs in the Australian media since 9/11 September 2001', Global Media Journal, vol. 2, no. 2, pp. 89-102. Noble, G 2005, 'The discomfort of strangers: racism, incivility and ontological security in a relaxed and comfortable nation', Journal of Intercultural Studies , vol. 26, no. 1&2, pp. 107-20. Noble, G 2004, 'Accumulating being', International Journal of Cultural Studies, vol. 7, no. 2, pp. 233-56. Noble, G & Watkins, M 2003, 'So, how did Bourdieu learn to play tennis? : Habitus, consciousness and habituation', Cultural Studies , vol. 17, no. 3&4, pp. 520-38. Tabar, P, Noble, G & Poynting, S 2003, 'The rise and falter of the field of ethnic politics in Australia', Journal of Intercultural Studies, vol. 24, no. 3, pp. 275-95. Noble, G & Poynting, S 2003, 'Acts of war: the military metaphor in representations of youth gangs', Media International Australia, no. 106, pp. 110-23. Poynting, S & Noble, G 2003, 'Dog whistle journalism and Muslim Australians since 2001', Media International Australia, vol. 109, pp. 41-49. Poynting, S, Tabar, P & Noble, G 2003, 'Lost between cultures or resisting racism', Palma Journal, vol. 9, no. 1, pp. 93-114. Noble, G 2002, 'Comfortable and relaxed: furnishing the home and nation', Continuum , vol. 16, no. 1, pp. 53-66. Noble, G 1999, 'Domesticating technology: learning to live with your computer', Australian Journal of Communication, vol. 26, no. 2, pp. 55-74. Noble, G, Poynting, S & Tabar, P 1999, 'Youth, ethnicity and the mapping of identities: strategic essentialism and strategic hybridity among male Arabic-speaking youth in South-Western Sydney' (opens in a new window), Communal/Plural, vol. 7, no. 1, pp. 29-44. Noble, G & Lupton, D 1998, 'Consuming work: computers, subjectivity and appropriation in the university workplace', The Sociological Review, vol. 46, no. 4, pp. 803-27. Noble, G & Watkins, M 2014, Rethinking multiculturalism reassessing multicultural education: project report number 2: perspectives on multicultural education (opens in a new window). An ARC Linkage grant in partnership with NSW Department of Education and Communities, The Board of Studies, Teaching and Educational Standards, and The University of Western Sydney. University of Western Sydney. Watkins, M & Noble, G 2014, Rethinking multiculturalism reassessing multicultural education: project report number 3: knowledge translation and action research (opens in a new window). An ARC Linkage grant in partnership with NSW Department of Education and Communities, The Board of Studies, Teaching and Educational Standards, and The University of Western Sydney. University of Western Sydney. Watkins, M, Lean, G, Noble, G & Dunn, K 2013, Rethinking multiculturalism reassessing multicultural education: project report number 1: surveying New South Wales public school teachers (opens in a new window). An ARC Linkage grant in partnership with NSW Department of Education and Communities, The Board of Studies, Teaching and Educational Standards, and The University of Western Sydney. University of Western Sydney. Kelly, M, Watkins, M & Noble, G 2012, Rethinking multiculturalism, reassessing multicultural education international symposium (opens in a new window), Institute for Culture and Society, University of Western Sydney, Parramatta. Cardona, B, Watkins, M & Noble, G 2010, Parents, diversity and cultures of home and school (opens in a new window), Centre for Cultural Research, University of Western Sydney, Parramatta. Watkins, M & Noble, G 2008, Cultural practices and learning: diversity, discipline and dispositions in schooling, Centre for Cultural Research, University of Western Sydney, Parramatta. Cardona, B, Noble, G & Di Biase, B 2008, Community languages matter! Challenges and opportunities facing the community languages program in New South Wales (opens in a new window), Centre for Cultural Research, University of Western Sydney, Parramatta. Redshaw, S & Noble, G 2006, Mobility, gender and young drivers: second report of the transforming drivers study of young people and driving (opens in a new window)(PDF), An ARC Linkage grant in partnership with the National Roads and Motorists Association Limited (NRMA). University of Western Sydney. Sofoulis, Z, Noble, G & Redshaw, S 2005, Youth, media & driving messages: report of the transforming drivers media study (opens in a new window)(PDF), An ARC Linkage grant in partnership with the National Roads and Motorists Association Limited (NRMA). University of Western Sydney. Ang, I, Brand, J, Noble, G & Sternberg, J 2006, Connecting diversity: paradoxes of multicultural Australia, Special Broadcasting Services Corporation, Sydney. Poynting, S & Noble, G 2004, Living with racism: the experience and reporting by Arab and Muslim Australians of discrimination, abuse and violence since September 11 2001 (opens in a new window), Human Rights and Equal Opportunity Commission, Sydney. Ang, I, Brand, J, Noble, G & Wilding, D 2002, Living diversity: Australia's multicultural future, Special Broadcasting Service Corporation, Sydney.